Have you ever wanted to live in an eye-catching, comfortable and super efficient home? Then be inspired by award-winning designs and discover the secrets to having a beautiful and environmentally sustainable home. Please note: the ATA Member discount is not applicable to this product. Australia’s best selling handbook on sustainable and stylish living provides a step-by-step guide for matching building designs to your local climate. This new 2015 fifth edition (updated) contains redrafted and peer reviewed fact sheets for insulation, insulation installation, lighting and hot water service. Written by experts across the residential building sector, Your Home provides a comprehensive, independent guide to building, buying or renovating a home. Your Home is the definitive ‘how-to’ tool for creating a home that is great to live in, affordable to build, and very effective to run. Your Home is the ultimate how-to guide for people who want to save money and the environment. Your Home is a comprehensive guide to the design principles and features that add value to your home and reduce its environmental impact. Each section in Your Home covers a particular sustainability theme, such as passive design or energy. A sustainable home needs to address all of these themes in tandem. The principles and ideas in each section can be applied to any home. The articles in each section contain advice on practical solutions you can adapt to your budget, climate and lifestyle. As sustainable housing technologies and approaches are evolving all the time, Your Home is periodically updated to keep the information current. When you’re planning your renovation or building project it’s easy to focus on the short term, but features that enhance resale value, improve comfort and reduce bills are worth paying for. Your Home is a comprehensive guide to the design principles and features that add value to your home and reduce its environmental impact. Many of them come at no additional cost. They just require the right ‘know how’ at the right stage of your renovation or building project. Others may add cost but also add lasting value and help to ‘future-proof’ your home against rising energy and water costs. 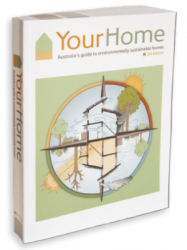 Create your perfect house with the Your Home Technical Manual. 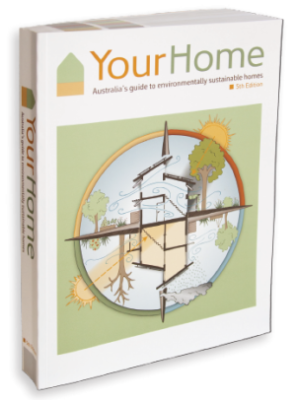 An initiative of the Australian Government and the building and design industries, Your Home is your guide to building, buying or renovating a home and contains over 550 pages of environmentally sustainable solutions for designing and building your home. It shows how to create a comfortable home with low impact on the environment — economical to run, healthier to live in and adaptable to your changing needs. Your home is important in so many ways. It’s a place to unwind, relax and spend quality time with family and friends. It’s also likely to be the biggest investment you make. Your decisions about your home have consequences for your future living costs and quality of life. Visit www.yourhome.gov.au to read Your Home online or download articles separately for free.